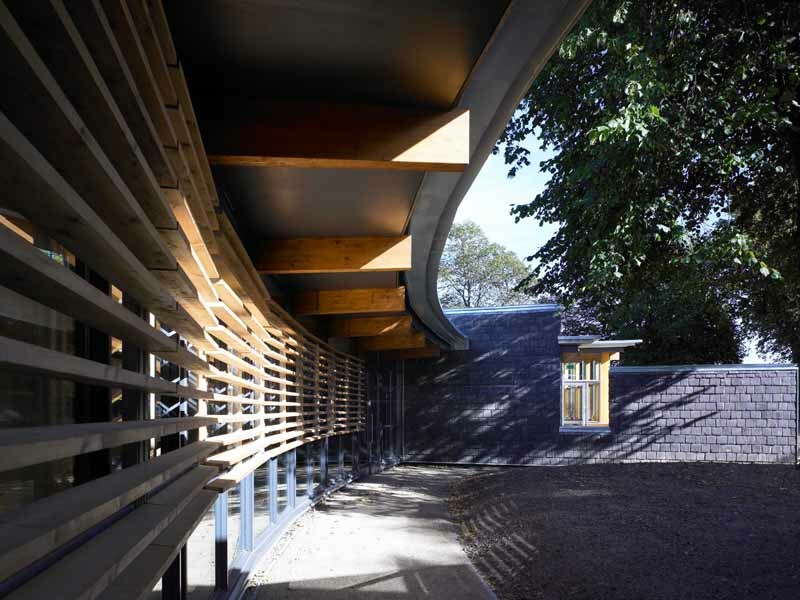 Merrylee Primary School, a new £7m school in Glasgow’s Southside designed by Austin-Smith:Lord for Glasgow City Council, boasts an impressive array of sustainability and design features. 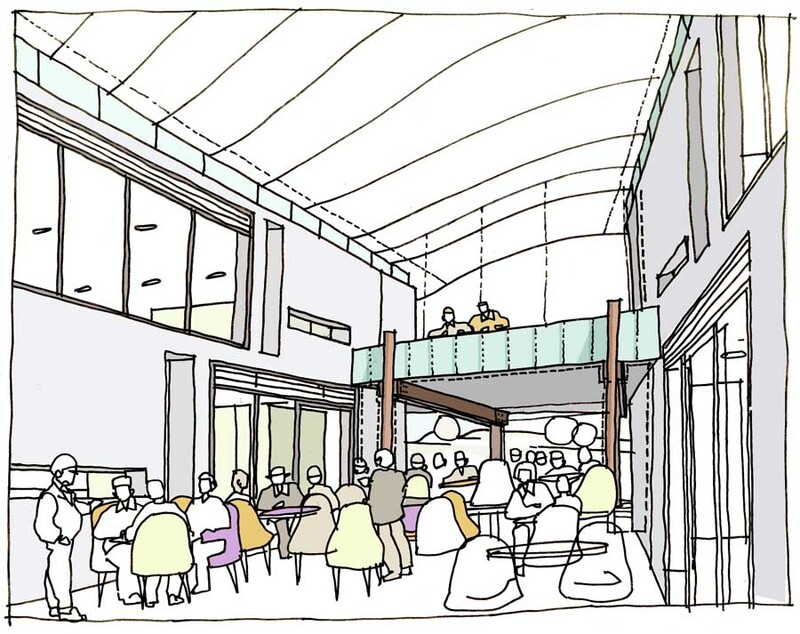 The building form was conceived in response to the formal neighbourhood grid and to address the existing Our Lady of the Annunciation Primary School to the west of the site. 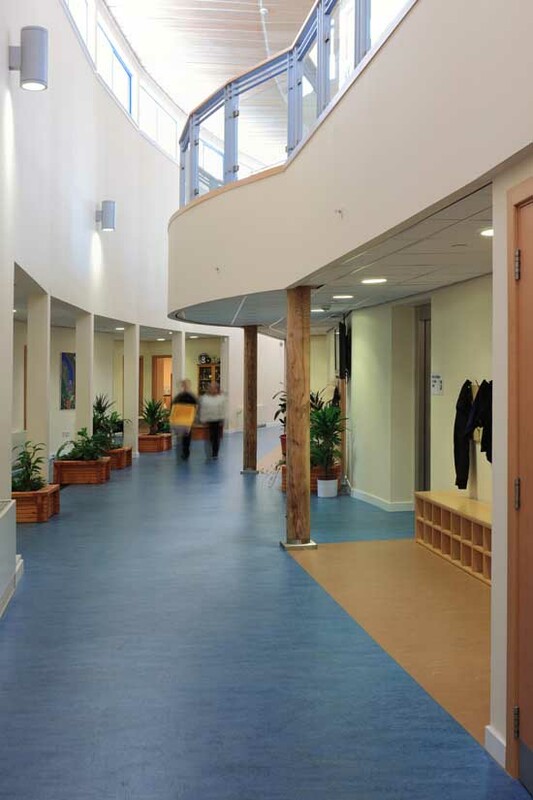 Rather than resort to the usual physical security barriers associated with many schools of today, the building has been designed as an integral part of the local environment and community. 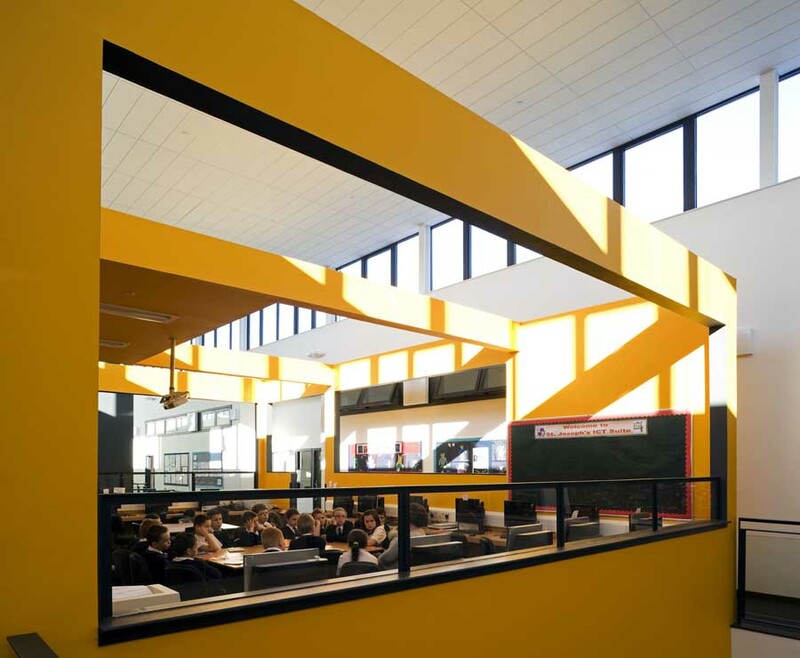 The new school was designed and delivered by Austin-Smith:Lord using sustainable maintenance-light construction methods that cost no more than traditional construction. Energy and cost-saving methods included: using10% of materials from recycled sources including recycled newspapers to fill wall cavities, orientating the building to make best use of natural light, using natural ventilation and stack ventilation chimneys for every classroom, using certified timber throughout the building and materials with low VOC emissions for the internal finishes. Following a series of discussions, Scottish Power agreed to provide part funding for a wind turbine which provides up to 12% of the building’s total power consumption. This was matched by funding from Glasgow City Council and the Energy Savings Trust. 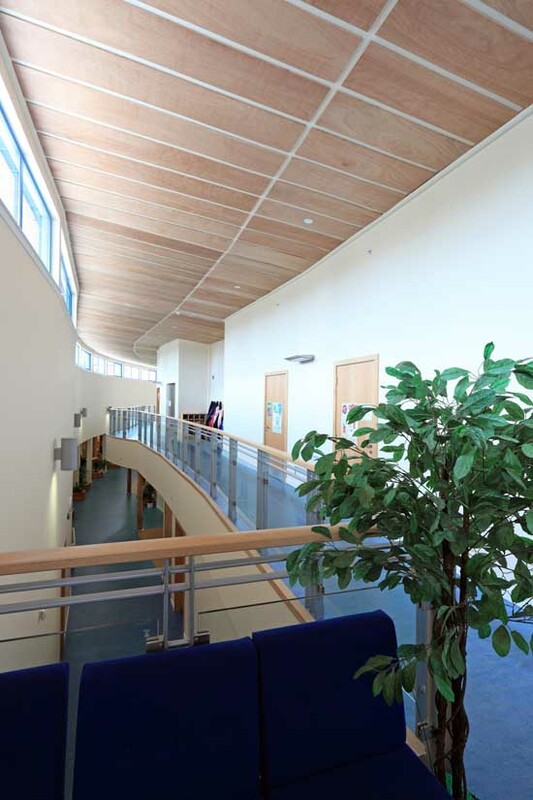 A dedicated eco-classroom space, looking towards the turbine, provides a facility for school sustainability projects. A unique outdoor ‘urban jungle’ play area, designed in consultation with the Forestry Commission, Merrylee School’s Environmental Committee and Parent Council and the Land and Environmental Services department of Glasgow City Council, features a suspension bridge, a large felled tree with cargo net for climbing, barrel dens, log seats and benches.